Welcome to our church website. I hope you will take a few minutes to examine who we are and why we exist. Princess Louise, the Governor General of Canada in 1882, named our city in honour of her mother Queen Victoria. In Latin she is called Victoria Regina. The Latin word “Regina” simply is the title of “queen”. Rightly, we are located in the Queen City. Regina Baptist Temple was begun in 1977 within the Queen City as an independent Baptist congregation committed to the historical principles and Biblical doctrines which Baptists have held through centuries. In 1999, the name was changed to Cornerstone Baptist Church in reference to being built upon the foundation of Jesus Christ, as stated in Ephesians 2:20. Jesus Christ is the Cornerstone of our faith. He is King of Kings, the only Saviour, and this congregation is being rooted and built together in Him. He is the head of the church that He might have pre-eminence in all things! Perhaps you may understand why we state we are “on the King’s Business in the Queen City”. It is more than a slogan. We welcome you to visit with us at any of our service times. Pastor Tim and Verna Friesen are experienced in ministry. They have been involved in starting churches. Tim has served Baptist Mid-Missions, the oldest independent Baptist Mission agency, as national representative for a number of years and Verna continues Canadian office duties with them. 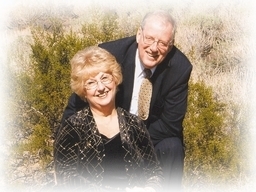 They have taught and Tim has served as president of Emmanuel Baptist Bible Institute. They are presently short-term missionaries with Baptist Mid-Missions.